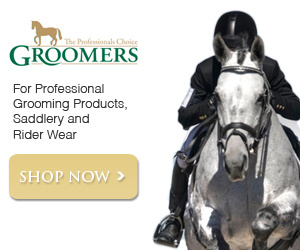 Established for over 10 years, we provide a range of quality goods for all equestrian disciplines. 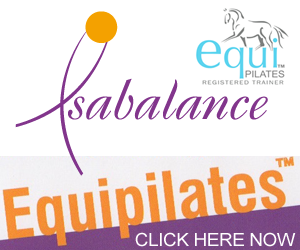 We stock reputable brands including Pessoa, Masta, Caldene and HKM, along with many more. 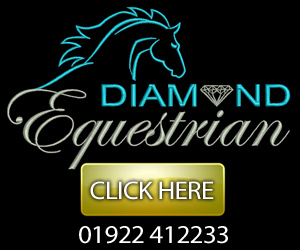 Whatever your equestrian requirements, our large, well stocked store is well worth a visit! Not sure what you’re looking for? Our friendly, experienced staff are always happy to help. Our while-you-wait service means that you can have your purchase embroidered there and then in store while you wait! Our embroidery service can also give livery yard’s, and other ‘clubs’ the chance to stand out from the crowd. Make your show team shine, with matching embroidery. 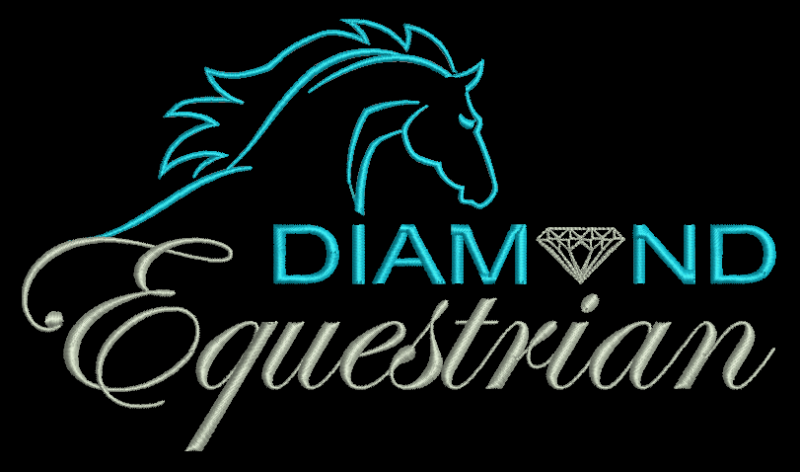 Add the Diamond Equestrian professional look to your show centre now! Embroidery is a great way to market your sponsors and supporters, be recognized as a sponsored rider and promote a professional image for yourself and your supporters. We’re not a one trick pony! We can also embroider work wear, sports wear and any other garments that you present us with. We’re happy to discuss any ideas and requirements you may have, so please pop in store, give us a call or drop us an email! All designs can be drawn up in store for your approval, make your image a reality. We have a range of equestrian pictures which bring garments to life, and enhance text embroidery. We have a range of fonts and colours to choose from and are happy to help you with designs. Bulk orders (over 5 items) are available for discounted rates so why not kit yourself out. Please don’t hesitate to contact us to discuss your requirements we will always do our best to provide you with as much information and the best quote possible. All designs can be drawn up for you in store at no extra cost and with no obligation. However, personal or company logos which require digitizing may incur a one off set up fee depending on size and quantity of the order. Again please don’t hesitate to contact us to discuss your requirements. 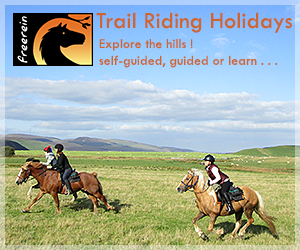 *Prices stated here are a guide only and are subject to each customers individual evaluation, although we do aim to provide the cheapest possible price and always the best quality in all circumstances. ‘guide price for jackets is also relevant for all other torso worn garments e.g. hoodies, sweat shirts, t-shirts, body warmers etc.